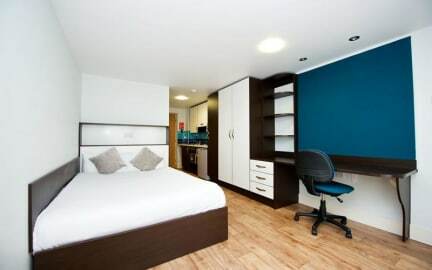 CityLivein offers the very best in affordable accommodation in Edinburgh during the peak months of July and August. Offering a wide range of cost effective accommodation. CityLivein is the ideal choice for both business and leisure purposes whether your stay is for short or long term use. Edinburgh is a truly stunning cosmopolitan capital city just begging to be explored. We offer six modern room types to choose from, which are conveniently located close to the city centre. So whether you’re exploring the historical city centre, going for a big night out or simply travelling – our affordable accommodation makes it super easy to make the most of your time in Edinburgh. And with even more to enjoy during festival time in August, CityLivein offers the perfect choice for your accommodation requirements while visiting Edinburgh. CityLivein is just 450 m from Haymarket Train and Tram Station. The famous Royal Mile and Edinburgh Castle are within a 15-minute walk. CityLivein Apartments are ideally located for Business and Leisure traveller and the Festival Venues. 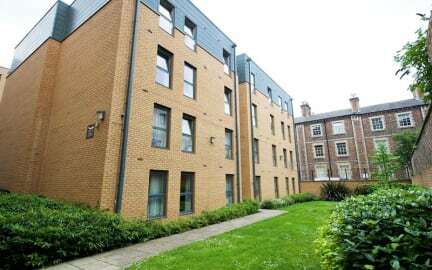 Just a 5 minutes’ walk from Haymarket’s popular pubs and restaurants. The famous Royal Mile is within a 15 to 20-minute walk, and Waverley Station is 1.5 miles away Just a 10-minute walk from Princes Street, CityLivein has a 24-hour manned reception desk and modern apartments with internet access. Edinburgh Castle is a 15-minute walk away. We offer several types of Apartments, a cosy double which offers a double bed an en-suite shower room. The Studio Apartment has a double bed, en-suite shower room as well as a kitchenette witch has a fridge, microwave and kettle. There are also 3, 4, 5 and 6 Bedroom Apartments available sleeping between 6 and 12 people which are made up of Double Beds with en-suites. These apartments have a communal kitchen and living area. The bright and airy apartments have bare wooden floors and colourful decor. All apartments feature a cosy seating area and large work desk, and each has a private bathroom. Our Studio Apartments have a compact kitchen which feature a microwave, refrigerator and kettle with tea/coffee facilities. Guest must 18+ years of age. All Rooms have 1 Double Bed - No Twin Beds available.